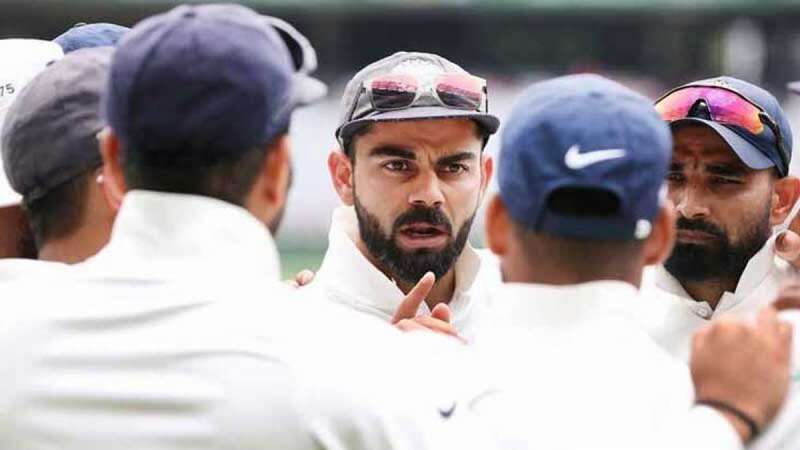 Sydney : A confident India face Australia in the fourth and final Test here on Thursday, aiming to create history by registering their maiden Test series win Down Under. India are leading the four match Test rubber 2-1. India had won the first test followed by a loss in the second. In the third game, the visitor registered a morale boosting 137 runs victory. The batting department seemed settled with captain Virat Kohli, Cheteshwar Pujara and Ajinkya Rahane among the runs along with Mayank Agarwal, who impressed in his debut Test with a half-century in the first innings, and Rishabh Pant. With the pitch here expected to assist spin, India have named Ravindra Jadeja and Kuldeep Yadav and Ravichandran Ashwin in their 13 player squad. Pacer Ishant Sharma has faced a niggle so he got replaced by Umesh Yadav. Umesh will be supporting Mohammad Shami and in-form Jasprit Bumrah. "You might have your name up on the honours board but if your team doesn't win, it doesn't really matter. Till now it would definitely be a big, big series win, not just for me, but also for the whole team purely because of the fact that this is the place where we started our transition to be honest," Kohli said at the pre-match presser. Kohli also said that in the fourth match the team's intensity won't be lacking. "Our year ended very well and we will try to make sure that we start this year well too. We are taking this as a standalone Test, which we must play with full intensity and effort," Kohli said. Australia, on the other hand, who faced criticism for their batting might make a few changes. All-rounder Marnus Labuschagne is added to the squad for the last test. Aaron Finch and Mitchell Marsh could lose their spots as they failed in the last match. In the batting department, Marcus Harris, Usman Khawaja and Travis Head did their job but lack of support cost the team. Pacers Mitchell Starc, Josh Hazlewood and Pat Cummins would like to up the ante in order to equalise the series and support spinner Nathon Lyon, who did extremely well in the three Test matches. Australia: Tim Paine (captain), Aaron Finch, Marcus Harris, Usman Khawaja, Shaun Marsh, Peter Handscomb, Travis Head, Mitchell Starc, Pat Cummins, Nathan Lyon, Josh Hazlewood, Mitchell Marsh, Peter Siddle, Marnus Labuschagne. India: Virat Kohli (captain), Ajinkya Rahane, KL Rahul, Mayank Agarwal, Cheteshwar Pujara, Hanuma Vihari, Rishabh Pant, Ravindra Jadeja, Kuldeep Yadav, Ravichandran Ashwin, Mohammed Shami, Jasprit Bumrah, Umesh Yadav.